People often say to us, “I’d like to help, but I can’t foster.” In order to save animals every day, we need the dedicated help of all of our volunteers. There are many roles at OutPaws, some that involve working with the animals and others that do not. Each of these roles is critical to our mission at OutPaws. Not every volunteer is able to foster an animal. But every volunteer does his or her part to save lives. OutPaws is seeking volunteers who want to save lives by donating their time and skills to complete a piece of the puzzle that makes rescue possible. If you are interested in volunteering your time, please complete a Volunteer Application and we will be in touch to welcome you to our team. Fundraising. OutPaws is always seeking hip and creative volunteers to help organize and plan our next fundraiser. Experience in party and event planning, ability to network and market tickets, and a desire to create a fun and rewarding opportunity for supporters bring about successful fundraisers. Transportation. Whether it be picking up a dog arriving from out-of-state and delivering to a foster home, driving an animal from a foster home to a vet appointment or picking up donated food and supplies, drivers are always needed and volunteers can participate in this opportunity on an as-needed basis with the flexibility to be available once a week or once a year. Adoption and Special Events. Help is needed to schedule and arrange details of adoption events. From calendaring and advertising adoption events to taking OutPaws’ tent and equipment and setting up before foster animals arrive, volunteers provide much needed support to our fosters and their adoptable animals and help make our events a success. Volunteers are also needed to help coordinate special events, such as adopter meet-ups and committee meetings. Sponsoring a Boarded Animal. Sometimes there aren’t enough foster homes to allow us to place all animals to which we have committed and on those occasions, animals are housed with our local boarding partners. Volunteers are needed to “sponsor” an animal by going on occasion to walk and socialize the animal, driving the animal to scheduled adoption events or vetting appointments and participating in meet and greets for the animal at the boarding facility as potential adopters express an interest. Marketing and PR. 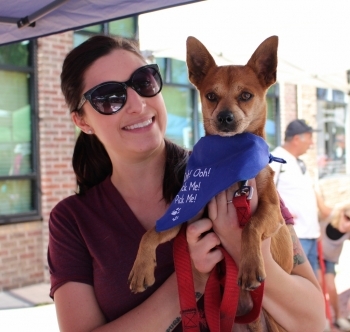 Creative marketing volunteers are needed to help advertise specific animals that are less adoptable, to help spread the word when we are holding fundraisers, and to assist in helping OutPaws complete its mission within our community. From one-time marketing tasks to assisting us in branding our image, your unique skills will save lives.